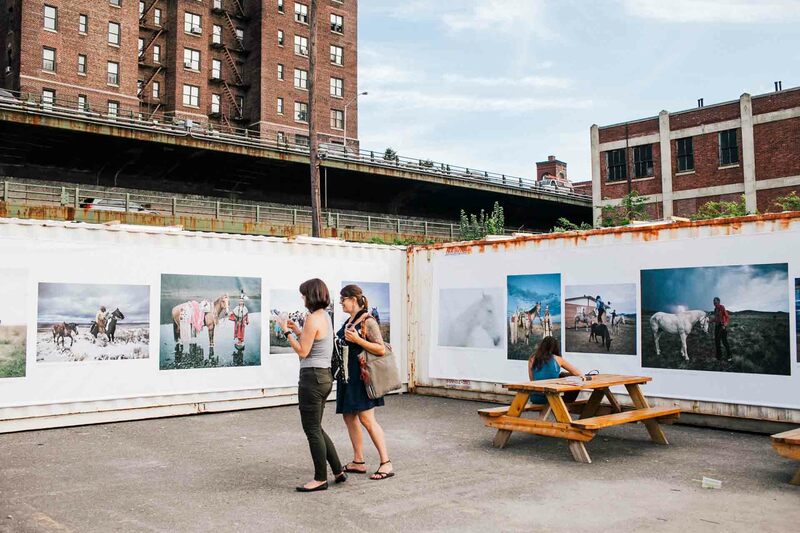 One of the largest annual photographic event in New York City, Photoville is an eclectic pop-up photography village built from re-purposed shipping containers that takes place in the heart of Brooklyn Bridge Park. 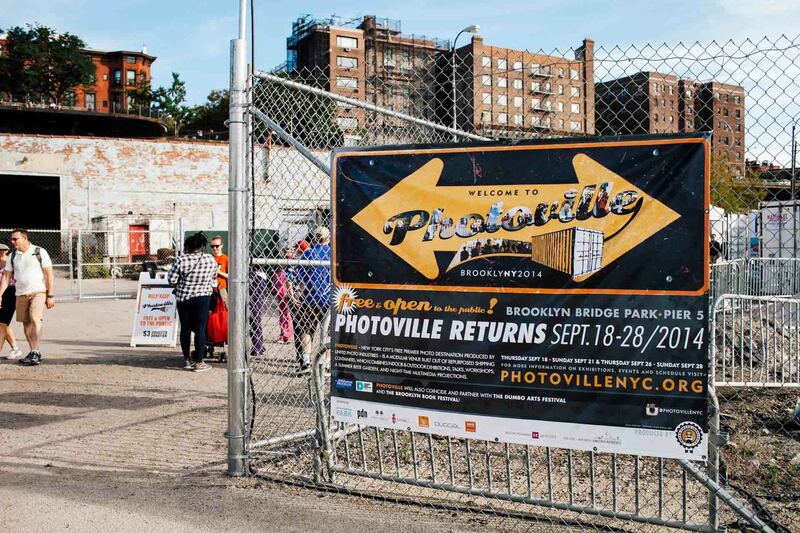 I first learned about Photoville back when the vision had been pitched on Kickstarter and successfully funded in 2012. 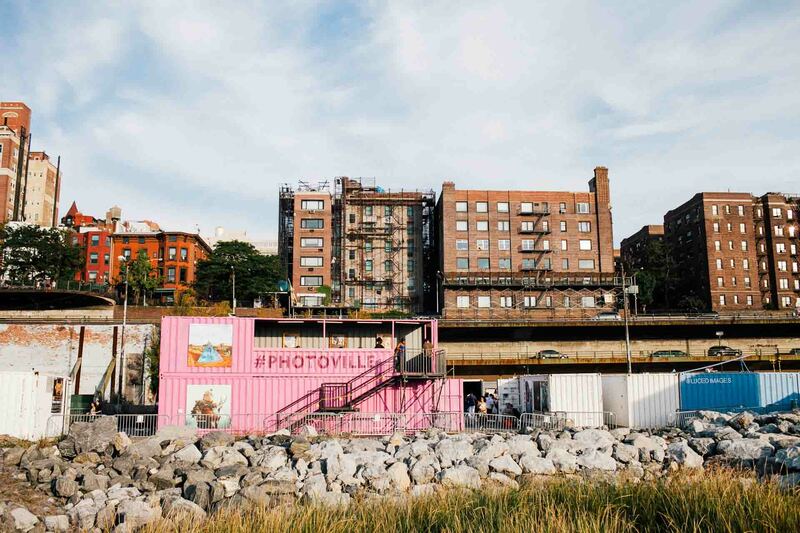 Since then, the pop-up photography village built from re-purposed shipping containers in the heart of Brooklyn Bridge Park has matured every year, and I’ve made it a personal mission to pay a visit. 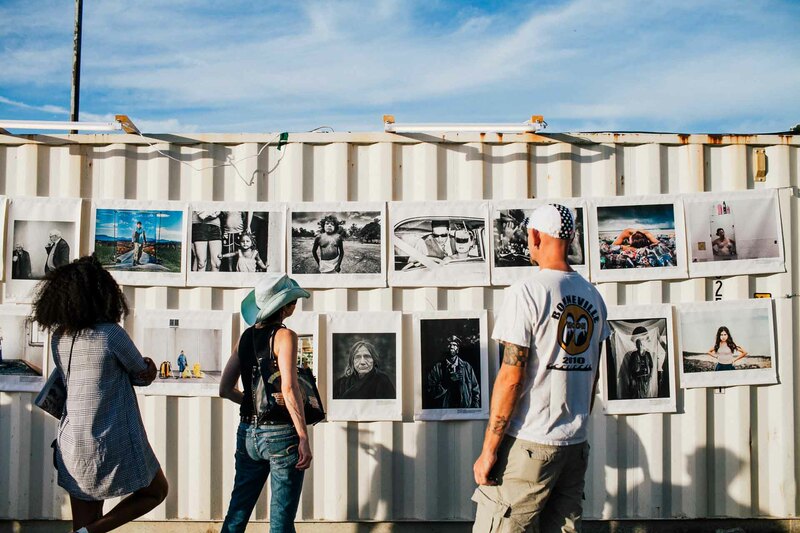 The wealth of eclectic photo exhibitions ranging from students to professional are both remarkable and inspiring. 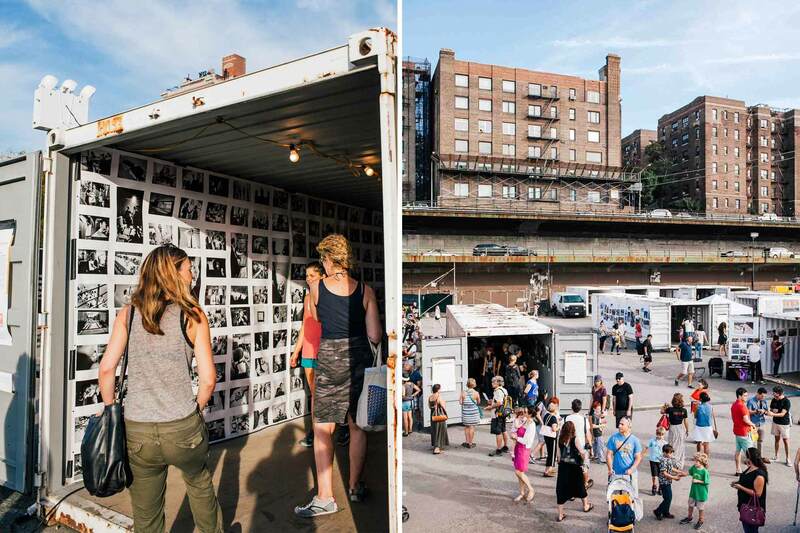 It’s literally the largest annual photographic event in New York City, reaching over 80,000 visitors in 2014. 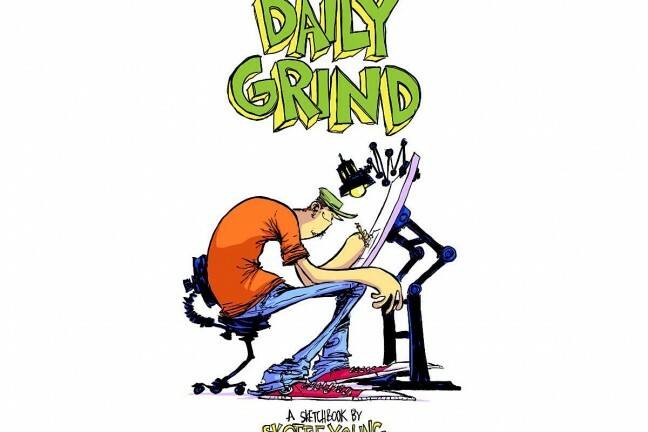 There’s also free talks and hands-on workshops scheduled throughout the week which regrettably I wasn’t able to attend any this year. 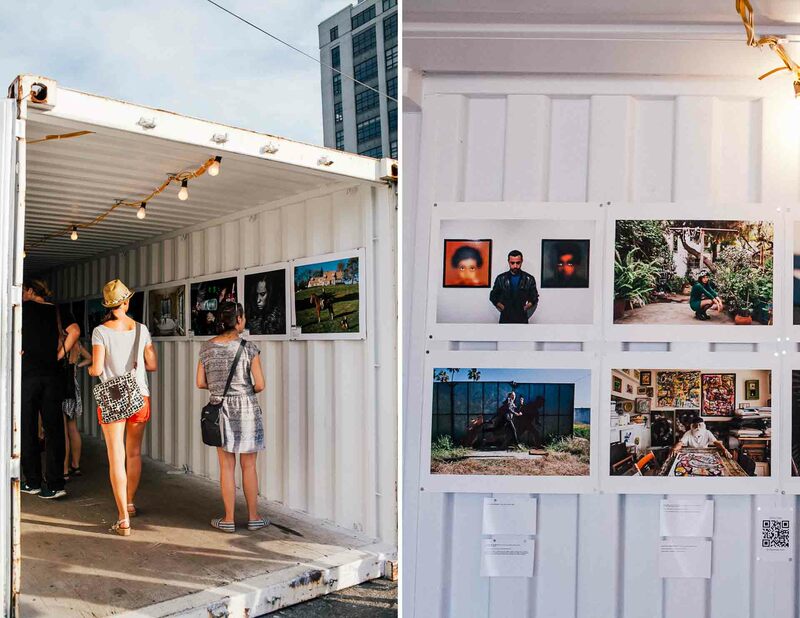 In addition to the work being showcased, I very much enjoyed the low-key and welcoming vibe. 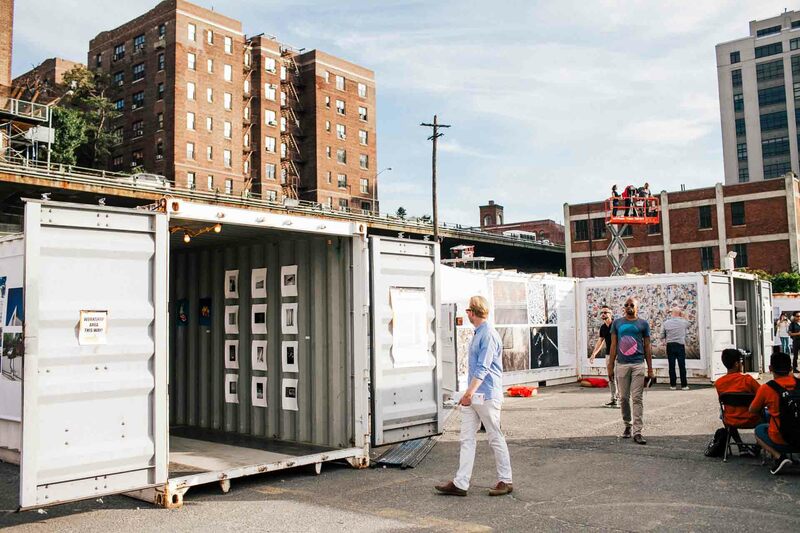 You can move at your own pace and view various styles of curated photography. 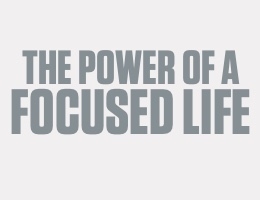 I have to admit I often find the aspect of visiting galleries very daunting. To me it resembles this vacuum-packed milieu where if you don’t seem like you’re the type to appreciate art then you shouldn’t be there in the first place. 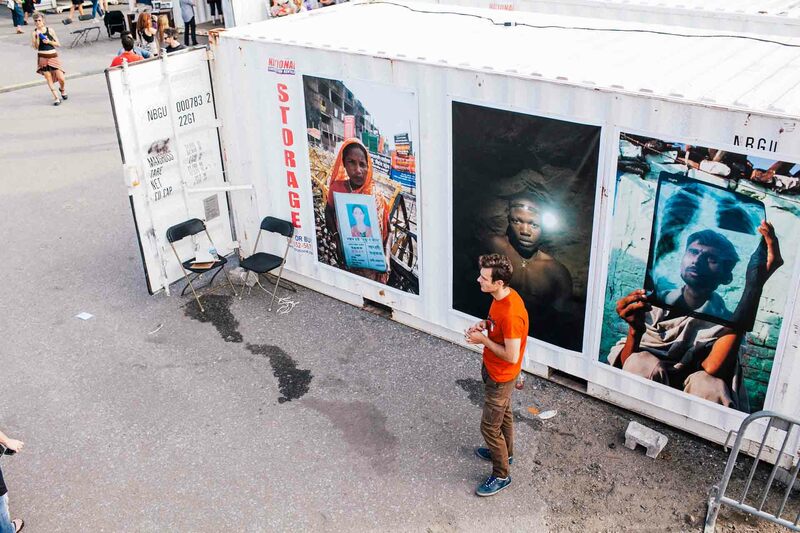 By contrast, at Photoville it was absolutely exhilarating wandering through a series of inventive container exhibits on a beautiful autumn afternoon even though the elements seem to be more representative of a typical scorching summer in New York. 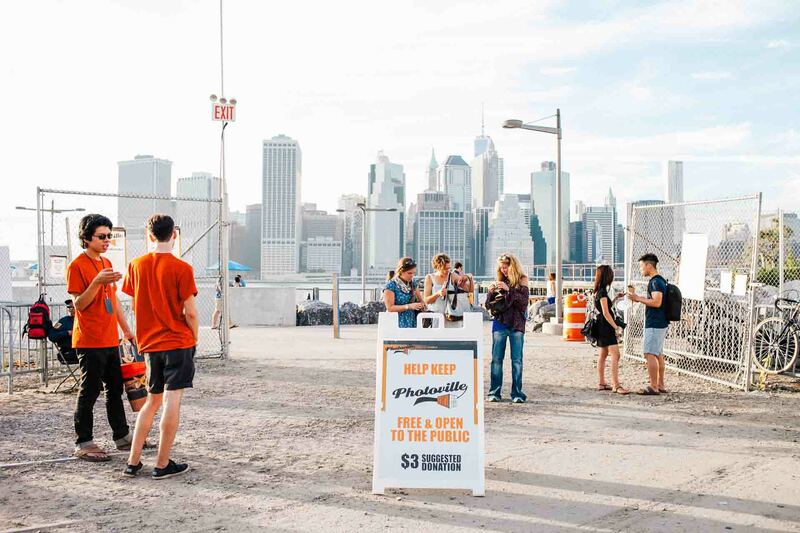 To give you a quick idea of what a laid back experience it was, there were not only attendees admiring the work with their kids but also with their dogs all against the stunning backdrop of downtown Manhattan. 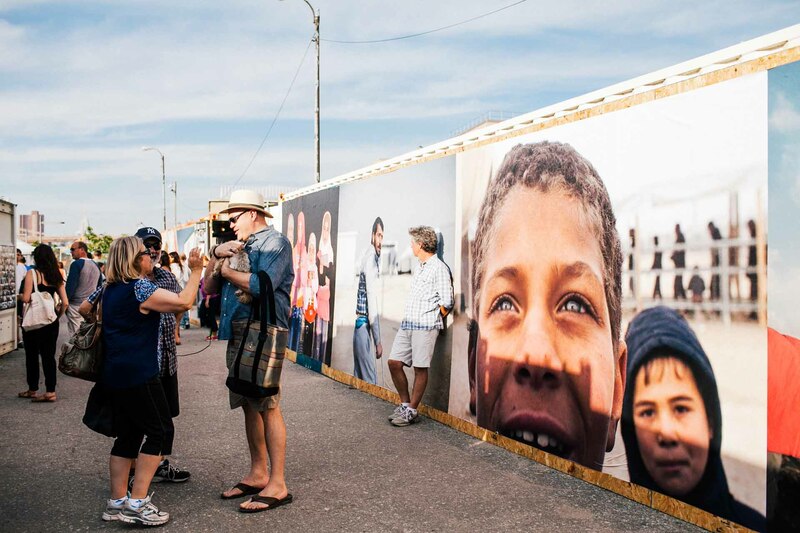 Since its inception, Photoville has had a heavy emphasis on photojournalism and documentary photography. 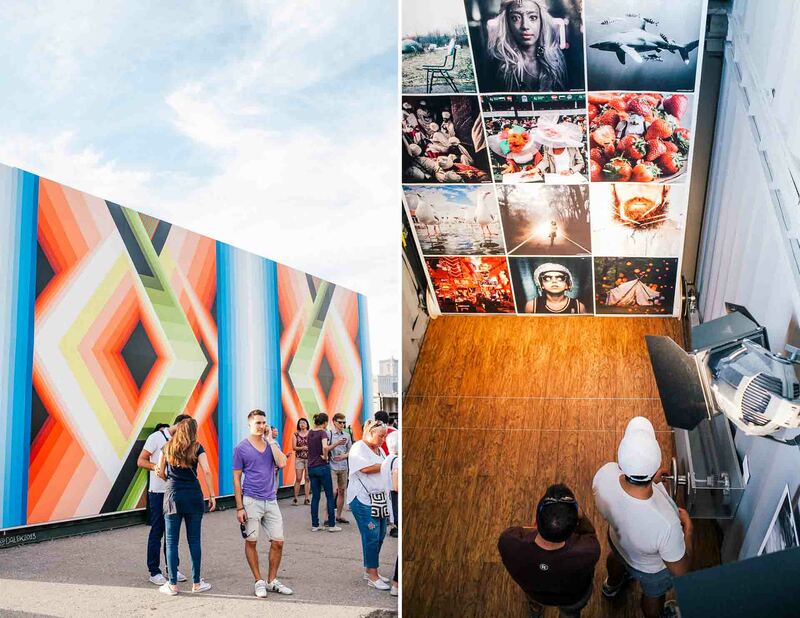 This has been the type of work that’s enticed me the most and one which I feel is the reason why the festival draws such a crowd. 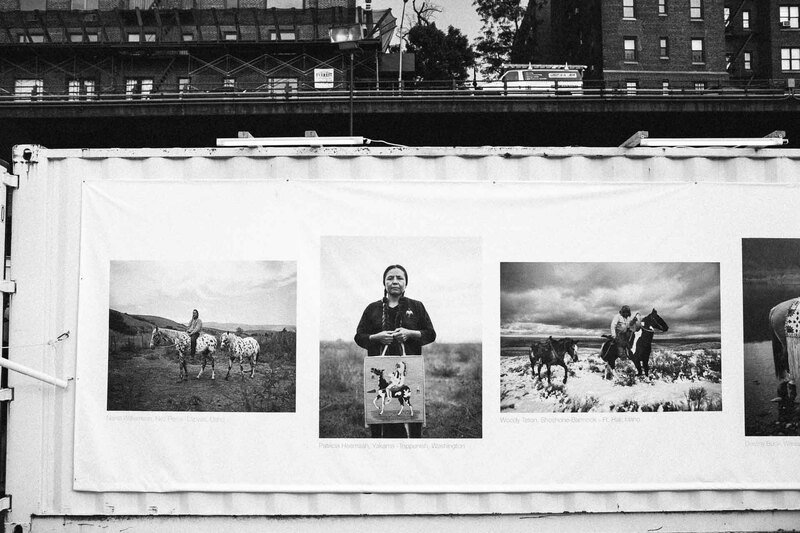 This type of work is not invariably accessible and when it is the impact you have from it is jarring — it hits you in the gut, it places things in perspective, and it helps you realize that you’re not the center of the universe. 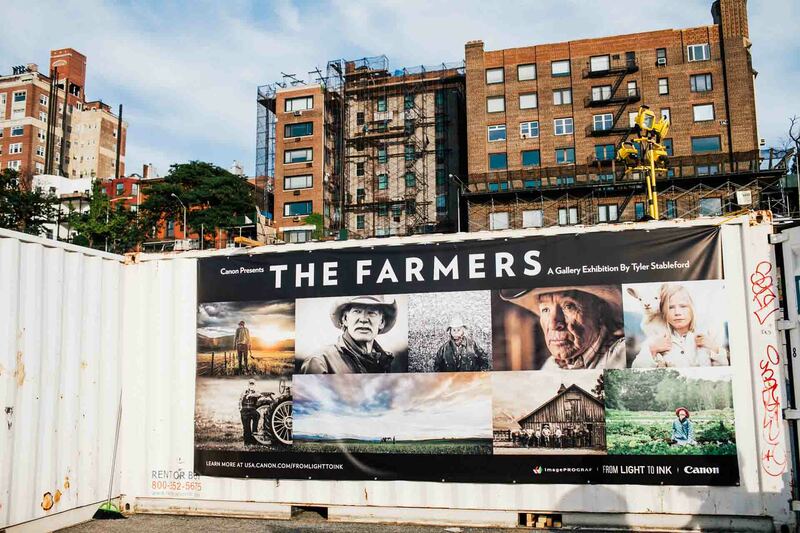 Among some of my most-liked exhibitions where The Farmers in which Tyler Stableford and his photography team captured fine-art images of national farmers and ranchers, beekeepers, small-batch distillers, and other food artisans around the country as part of a Canon portraiture series. Also, Global Goods, Local Costs: Fashion’s True Price which was a visual exploration of the human lives affected by the production of the clothing and accessories we wear every day. 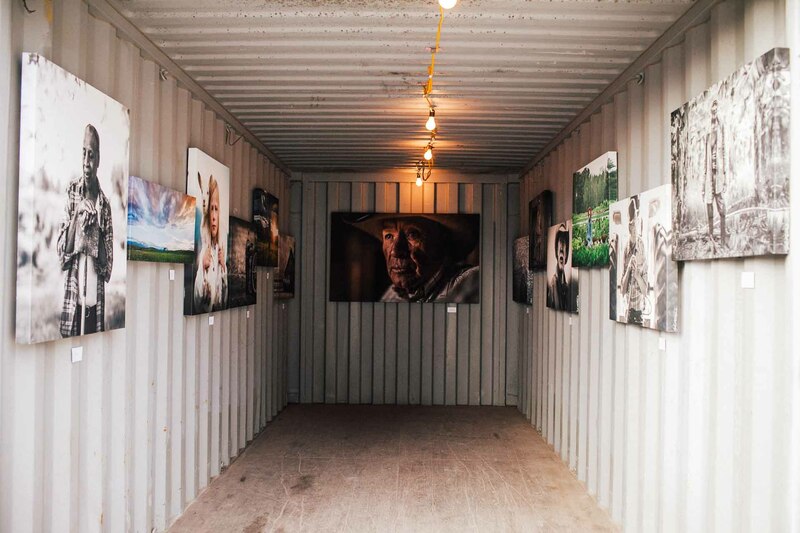 The Iraqi Detainees exhibit was intense and impactful — there were these beautiful and humanizing portraits of Iraqi former detainees who were arrested, tortured, and then released without charges in the first years of the war. 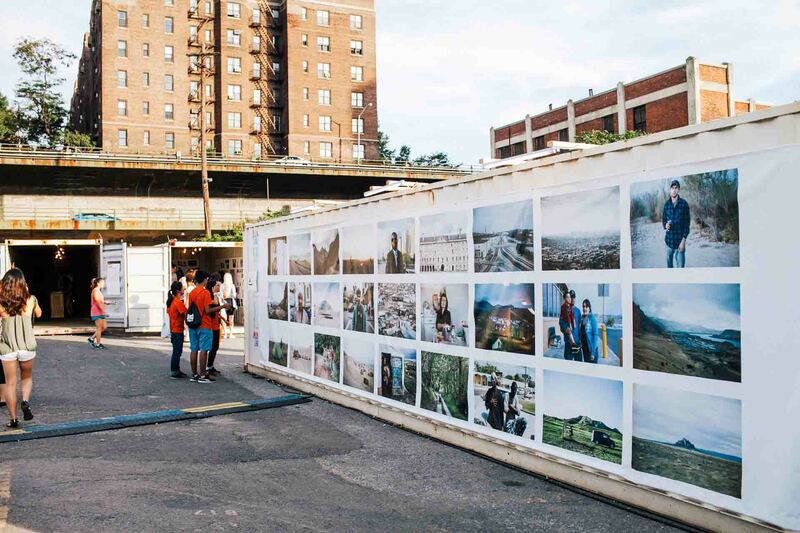 Overall, despite having visited on the very last day of the festival (rather than on opening night as I had initially planned), Photoville 2014 was refreshing, thought-provoking, and inspiring. It absolutely lived up to its reputation. 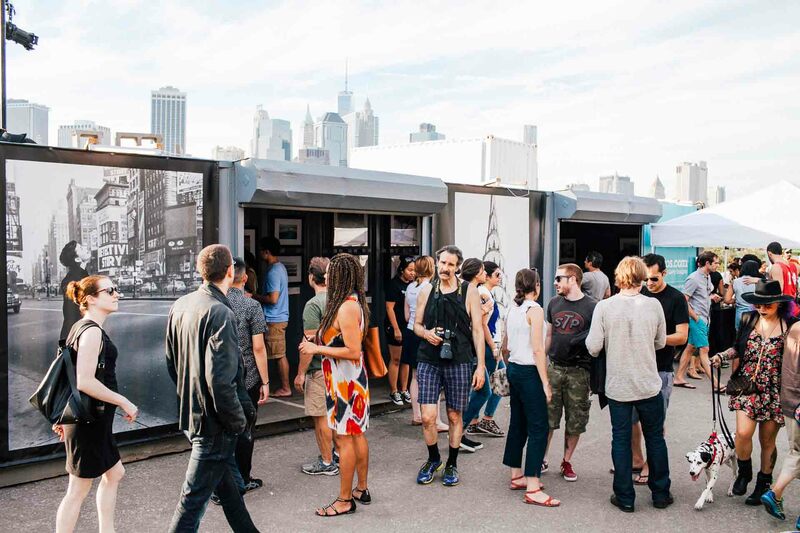 Attendance is free, but there is a suggested admission fee of $3 which I’ve been ecstatic to pay every year with hopes that my contribution enables them to carry on with this funky pop-up village of photo galleries that I love exploring every year. 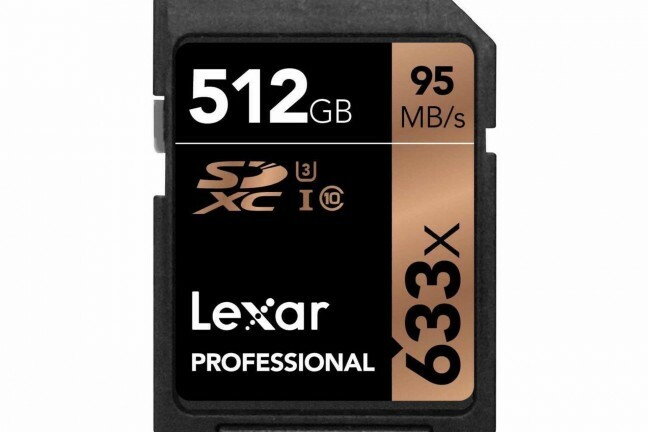 Often times with festivals like these there’s a fear of envisioning what would happen if it gets too big, but I believe the right mentality to have is to visualize how more mature and profound it will get the following year.